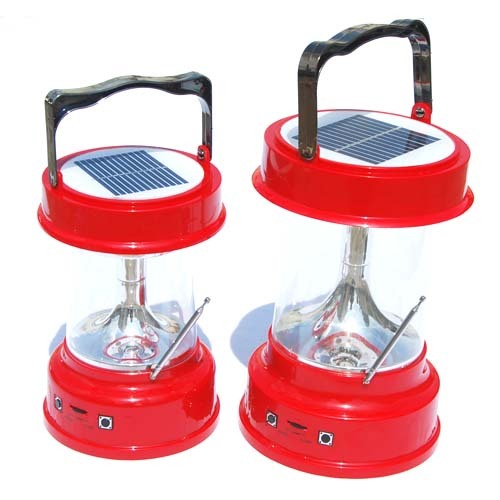 This solar powered camping lantern light comes with a built-in FM radio and a cell phone charger for various cell phone. It has a novel design, that is, an inverted funnel-shaped reflector in the center, which spread the light from LED to a much wider scope, and improve light's efficiency to some extend. It can be charged by sunlight or wall socket. You can place this lantern on the table or hang it on the ceiling. There are two size model for choosing: normal size and small size. They are suitable for camping, travelling, boating or home usage.